We have the expertise to help you with all your electrical problems, so please don’t hesitate to contact us when faced with electrical problems. We are are reliable, trustworthy, highly skilled and experienced. Regular light vs LEDs on display case. 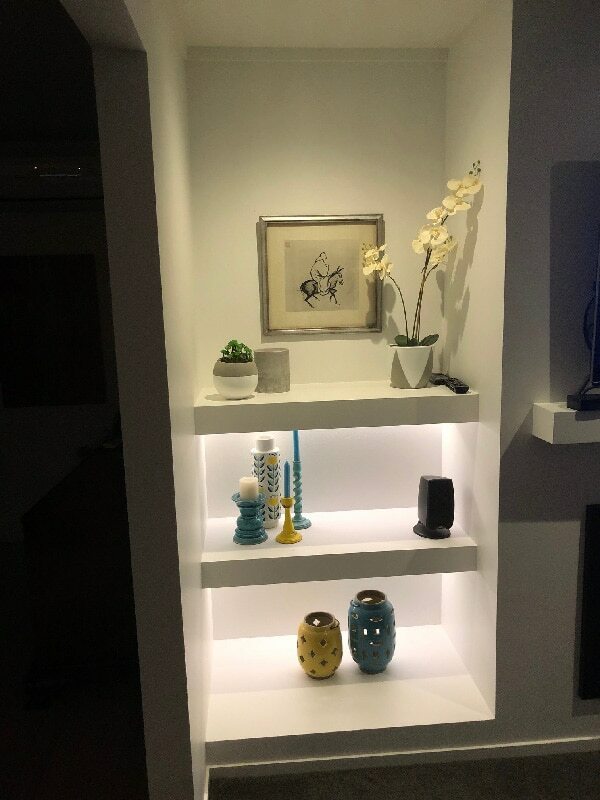 LEDs installed on the two bottom shelves.